So, no posts in an awfully long time. I have been working on things, though. As summer (2014) rolled around, I'd more or less stopped working on Rogue Moon. I came to the conclusion that 'World of Tanks in Space' was just way, way too much for me to bite off on my own. It just wasn't ever going to happen, or at least not with any quality. After a bit of thinking, I decided to take on something far less ambitions. 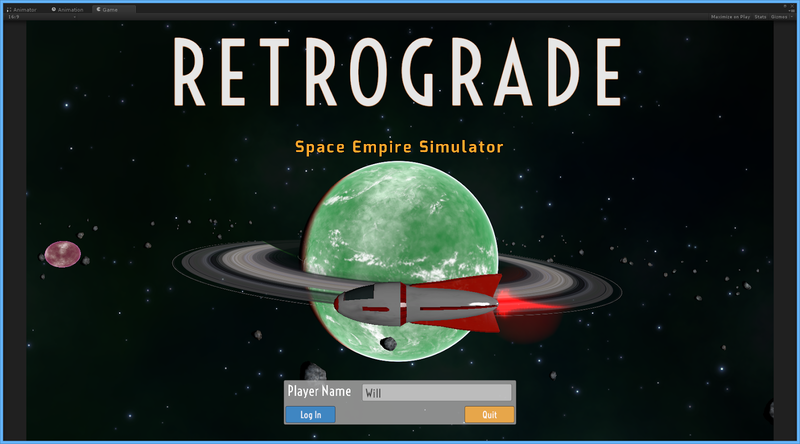 So I came up with the idea for 'Retrograde', which will be a 4x space empire building type game. First, why 'Retrograde'? 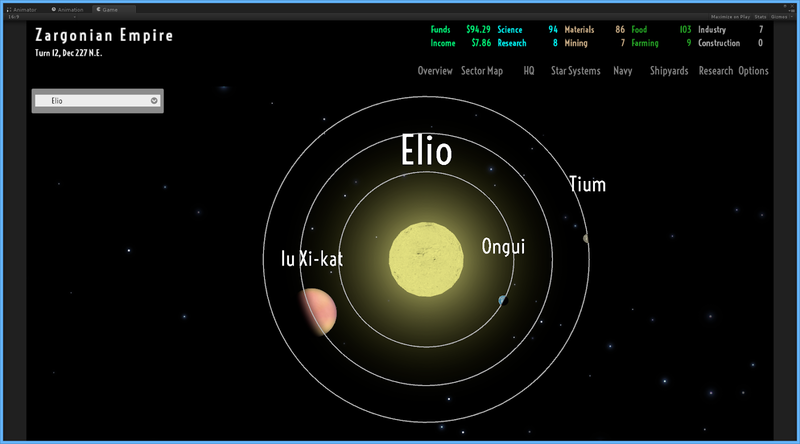 Well, it is kind of space-y, the opposite of your orbital direction. Also, it represents kind of a step backwards from an overly ambitious project to something accomplishable. Too many strategy games confuse 'complicated' with 'deep', I think (and sometimes 'frustrating' with 'difficult'. IMHO this was one of the things that sank Sword of the Stars II, for instance. I'd like the game to be a bit story driven, and have a lot of character. Too often games in this genre feel more like spreadsheet/bureaucracy simulators. I can never spell bureaucracy right the first time. Or the second, it appears. Style wise I intend to pull heavily from 30's serials. Flash Gordon, Buck Rodgers, etc. I'd like the artwork to have a very stylized Art Deco sort of look (though right now it's very simple and clean, something I'd like to keep, too). I've been working away quietly on Retrograde, and have made good progress. 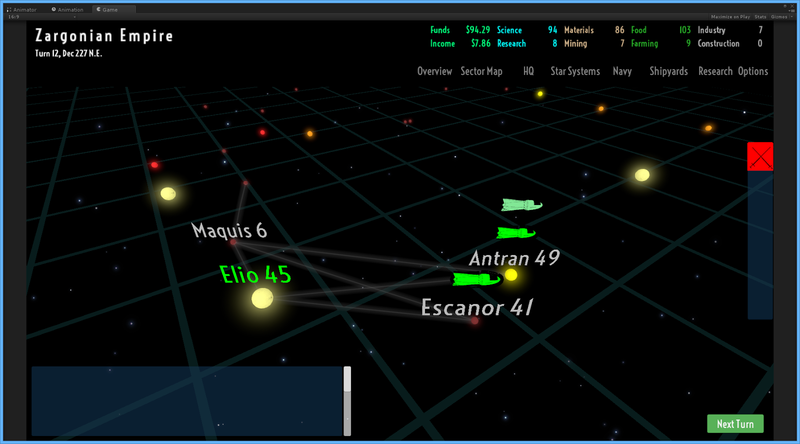 The framework of the game has really taken shape, and I'm pretty pleased so far.